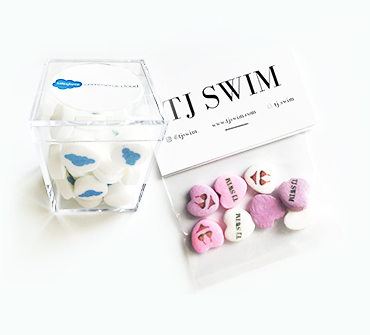 Ordering your personalized candy is a very simple process. Choose up to three love heart mint colors. Personalize with text, emoji or upload a logo. Choose bulk heart or mint candy or custom packaging. 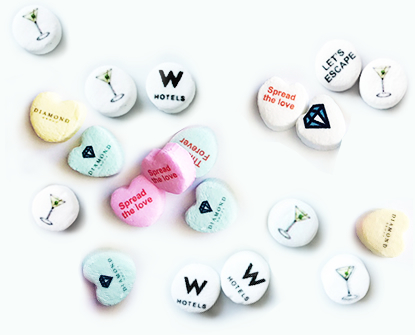 Order your personalized custom love candy heart candies or mints, they are customized by you with your own text, logo or emojis! 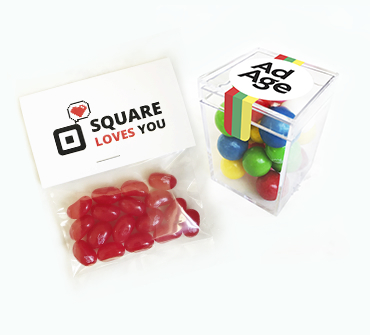 They make the perfect customized wedding candy, trade show giveaway as corporate promotional candy and branded candy. 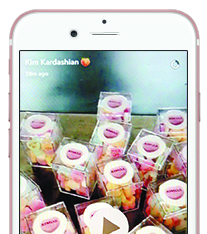 Such a fun Valentines marketing idea or campaign for a business and great for social media contests! Our candy is also used as candy party favors for baby shower mints, birthdays and bridal shower favors. We create tons for wedding candy for buffets and tables, nothing is a better wedding favor than personalized custom candy and mints!